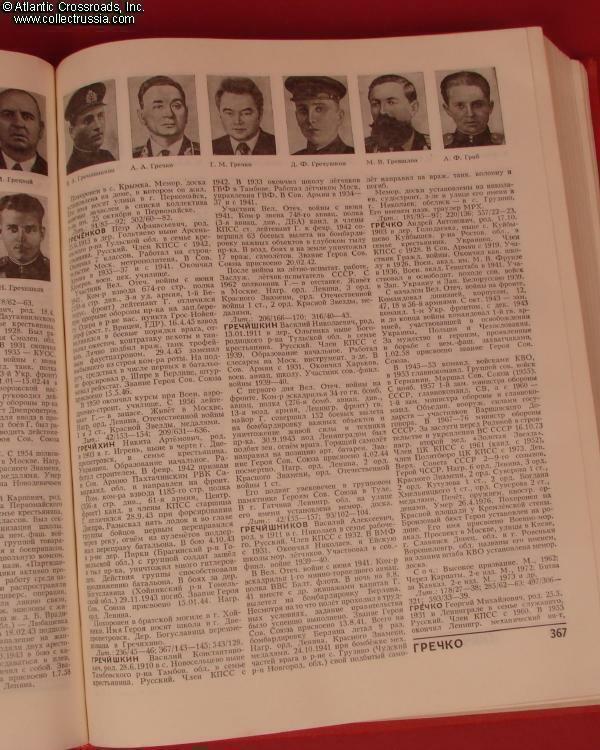 "Heroes of the Soviet Union". "Heroes of the Soviet Union". 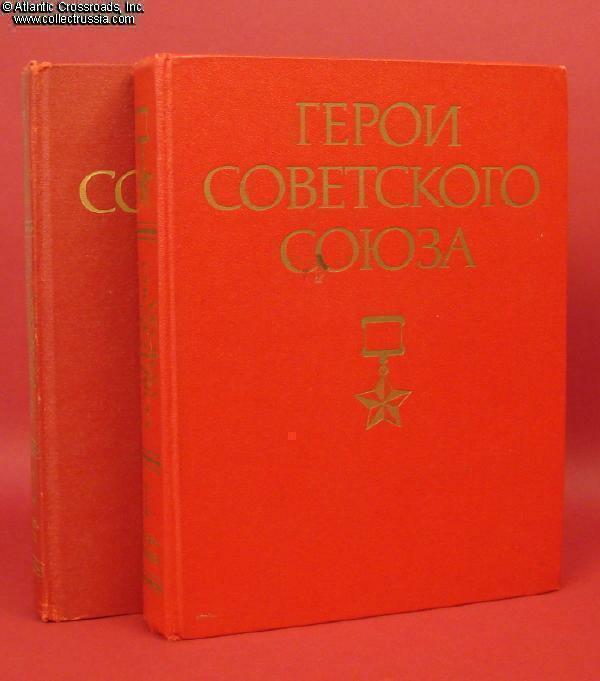 The ultimate complete reference guide to HEROES of the SOVIET UNION! 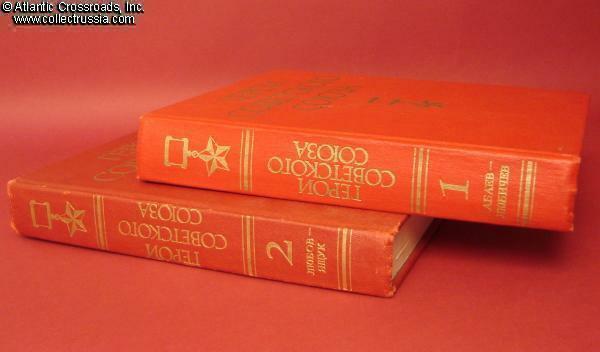 This rare and sought-after 2 volume encyclopedia is the "Hall of Fame" of the USSR Military with an entry for each recipient. A capsule biography describes the feat for which the Title of Hero was given and lists all the other decorations earned by each Hero. Where available, a photograph is provided. 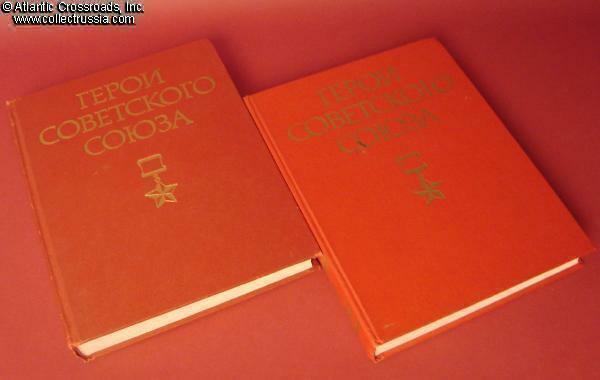 There are a number of females, and also some Cosmonauts featured among the Heroes.
. Each big 8 3/8" x 10 1/2" hard-bound volume contains over 850 pages and thousands of short articles and photographs. 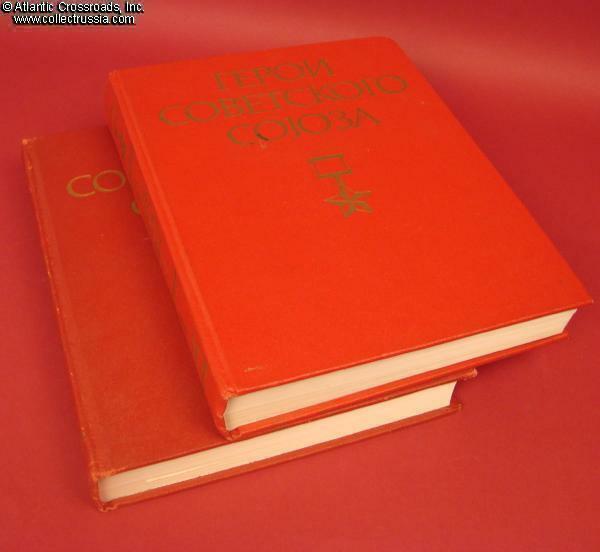 All Russian text, but basic terms such as dates and locations are easily understood if you have a Russian- English dictionary. This is a must-have ready reference containing entries for recipients from the medal's institution right up to the Afghan War. There is no finer or more complete work on the subject! This out of print set is itself a worthy collector's item. Our highest recommendations. Very good to excellent condition with shelf wear to the covers. The pages are clean.